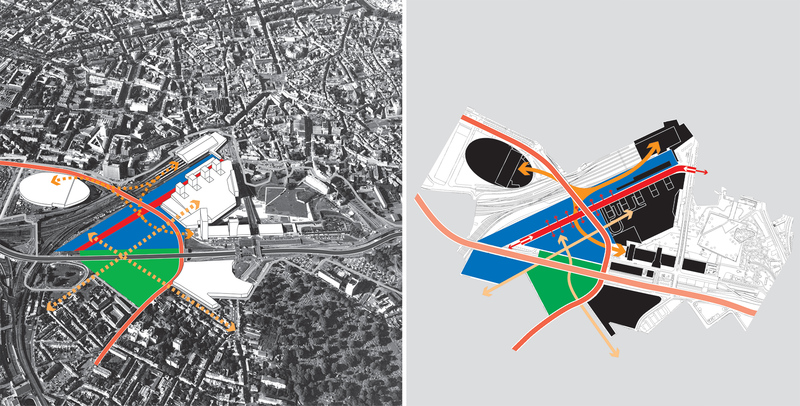 The OMA designed masterplan for the Euralille area boosted the international position of the city of Lille in northern France. 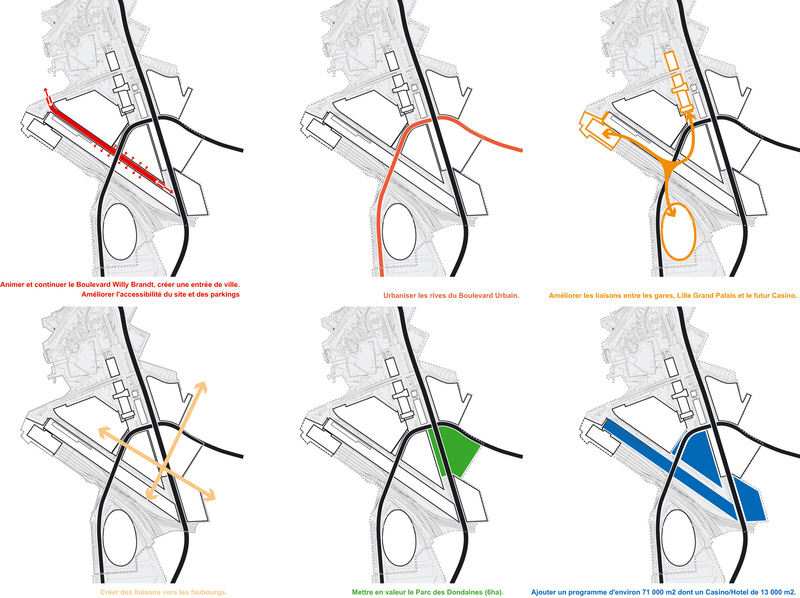 The new high speed train station and the opening of the tunnel under the channel, suddenly positions the city in the center of the “Euregion London-Brussels-Paris”. 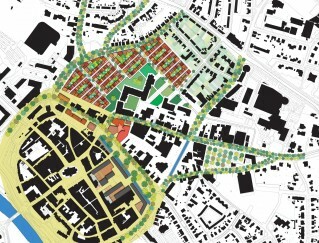 After 15 years of development, portions of this masterplan need revision. 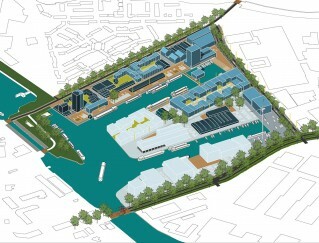 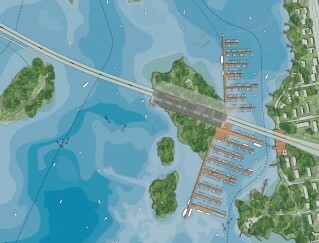 We worked together with Floris Alkemade (current government architect of the Netherlands) on the revision of the plan. 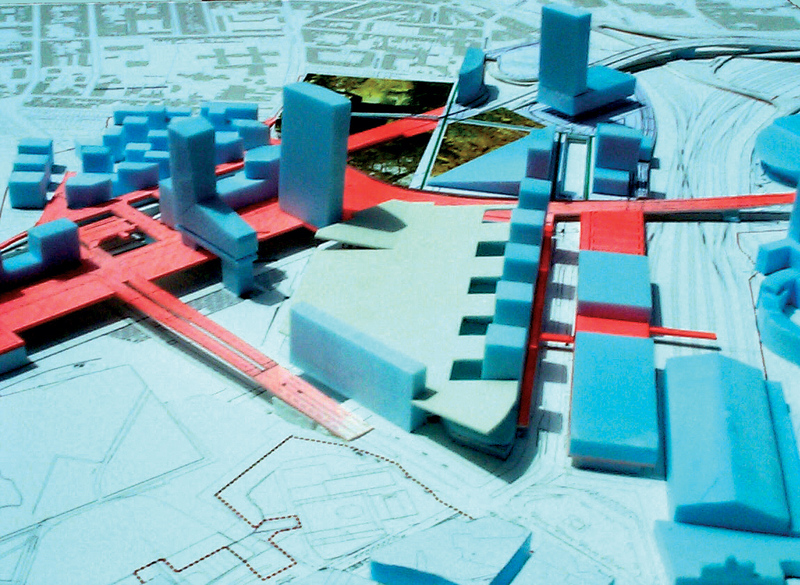 The plan defines a new connection to the ringroad around the city and a new Boulevard entering the city. 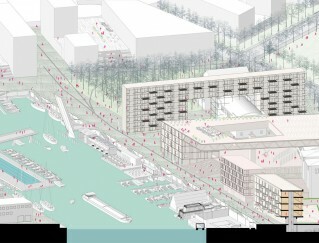 Next to that is also makes more development possible around the Jean Nouvel designed shopping center.